After last year's THE RETURN OF THE ORIGINAL SKYMAN PENCIL PORTFOLIO #1, ACE Comics has a collection of Ditko's three issues of WHAT IS... THE FACE? 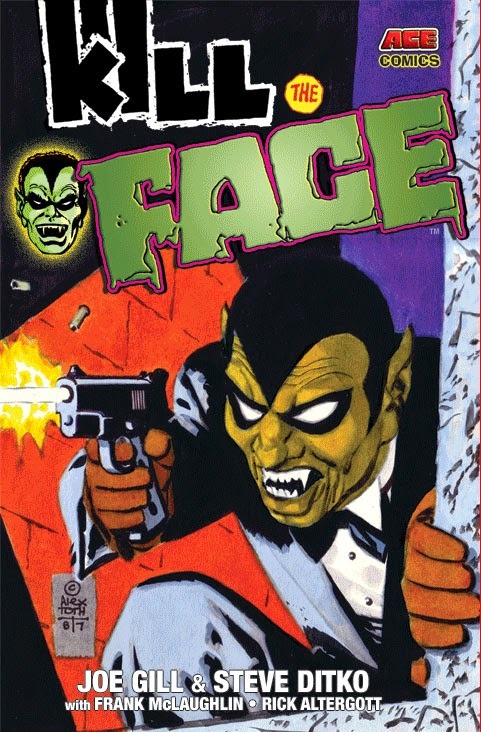 from 1986-7 coming out, in colour for the first time, under the title KILL THE FACE with Alex Toth's cover to #3 up front and also available as a mini-poster with pre-orders.